Slow Chen is a Taiwan based Food Designer who graduated from SPD, Milan with a Master degree in Food Design in 2016. In her earlier career, she worked as an architect / interior designer and food stylist in Taiwan, coordinating multiple projects with professionals from different industries for clients such as Jamie’s Italian (HK), Starbucks, Le Creuset, among many others. After grad school, Slow Chen worked at Martí Guixé’s studio in Barcelona for internship until early 2017, the project she worked on contributed to the 3rd issue of Nutty Project – a magazine exclusively dedicated to the art of food design. Her passion and dedication also paved the way to a successful Food Project coordinated by Alice Wang in Taipei, that helped her gaining recognition from multiple international designers from Europe and the UK such as Bompas & Parr that inspired her to reinvent the landscape of Taiwanese street foods. She combined a solid skill set in the areas of coordinating, curating, food design, photography, food styling and visual design with social media expertise in order to bring the best experience to the food enthusiasts who follows her work. 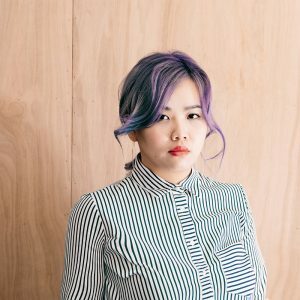 Her most recent achievement involves working at exhibitions of food design, as well copywriting for magazines such as GQ Taiwan, The News Lens, Shopping Design, which she uses to get her work known all throughout the beautiful island of Taiwan and beyond. Design Assistant @ WUZ architect Inc.